All bat detectors on this website are backed by my 100% Satisfaction Guarantee. If you need help choosing a bat detector, just call me on 0333 9000 927. 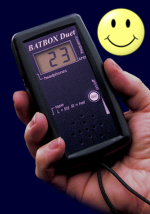 Batbox Baton Bat Detector - With our Exclusive 2 Year Warranty! 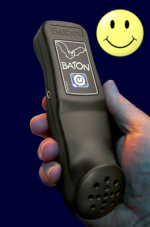 The Baton is a frequency division bat detector and comes with a version of BatScan sound analysis software, developed especially for the Baton. 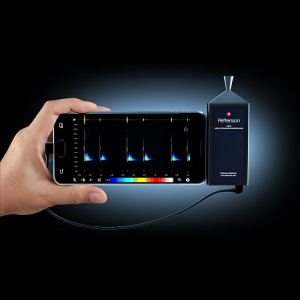 In addition, if attached to the soundcard of a laptop computer by a stereo lead from the ‘line out’ of the Baton, it will produce real-time sonograms, allowing detailed analysis of calls when used with BatScan software. With carry pouch. Probably the cheapest option if you'd like to record bats. Using the power of Apple’s iOS platform, the Echo Meter Touch offers unprecedented features and ease-of-use. Stunning, full color, zoomable spectrograms. 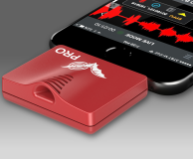 Ability to listen to bats in real time with unparalleled fidelity. Recordings that match detectors costing thousands of pounds more. 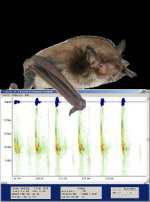 Onboard bat auto-identification using Kaleidoscope algorithms. The number crunching power to accurately identify a bat to species in seconds. GPS tracking that tags all recordings with location information. Free Auto-ID app available from the Apple iStore. And it all works on the iPhone 7 Plus; iPhone 7; iPhone SE; iPhone 6s Plus; iPhone 6s; iPhone 6 Plus; iPhone 6; iPad Pro (9.7-inch); iPad Pro (12.9-inch); iPad (released March 2017); iPad Air 2; iPad mini 4; iPod Touch (6th generation released July 2015). Now available in two models for hobbyists and professionals. Price includes the EM Touch module, but not the iOS device. You will need additional apps for recording (free) and auto-ID (free) from the App Store. Order now at £200/£370 including 60 day 100% Satisfaction Guarantee, exclusive 2 year warranty, worldwide delivery and VAT. 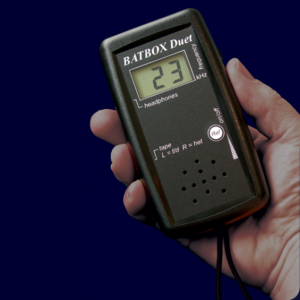 The Batbox Duet is a dual-mode bat detector, with both heterodyne and frequency division, designed for single-handed operation. The large LCD back-lit display is extremely accurate and easy to read at all light levels. Frequency amplitude detection allows post-recording computer analysis of sonar peak-frequencies. There is a voice commentary button for annotating recordings. With carry case. Batbox Duet & Zoom H2n Digital Recorder with free 3.5mm jack lead and get BatScan Software FREE!! Easy to install, BatScan will record and play back sound samples through your Windows compatible sound card. However, a sound card is not necessary in order to analyze and display audio spectrograms. 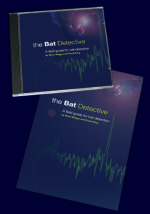 BatScan processes PCM format digital audio data such as .wav sound files. Default settings have been optimised for use with Batbox Duet. BatScan will operate with 8-bit colour. 24-bit colour is required to save screen images as graphics files. Compatible with Windows 95, 98, ME, NT 4.0, 2000, XP, Vista, or Windows 7 32-bit, and runs best with 128MB of RAM. 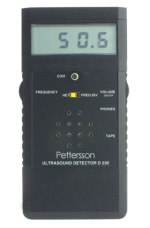 Pettersson D230 bat detector - With our Exclusive 2 Year Warranty! A combined heterodyne and frequency division detector with backlit, large digit, accurate digital display, showing the tuned frequency in the heterodyne mode. The frequency and volume controls are on the side of the case, making it easy to adjust. Using stereo headphones, the heterodyne signal is heard on the left channel and the frequency division signal on the right channel. When the built-in speaker is used, a switch is used to select the heterodyne or frequency division signal. £460 including EU delivery - nothing else to pay! 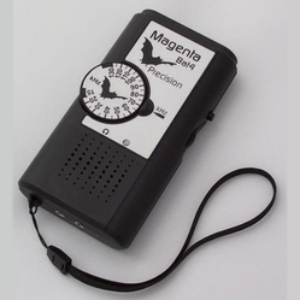 Pettersson D240X bat detector - With our Exclusive 2 Year Warranty! 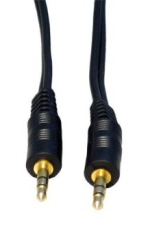 Type:	Heterodyne & frequency division; Microphone:	Electret; Frequency range:	10 - 120 kHz (min. ); Display accuracy:	± 0.15 kHz; Bandwidth:	8 kHz (+/- 4 kHz), -6 dB; Battery:	1 x IEC 6LF22 (9 V); Quiescent current:	30 mA typ. including LCD backlight; Comment switch:	Yes; Memory size:	1M x 8; Sampling frequency:	307 kHz; Resolution:	8 bits; Storage time:	3.4, 1.7 or 0.1 sec. (selectable via switch); Trigger modes:	Manual, level - broadband, level - narrowband; Pretrigger:	50% of the selected storage time; Size:	119 x 60 x 25 mm including knobs; Weight:	170 g including battery; Outputs:	2 x 3.5 mm jacks for headphones and recorder; Miscellaneous:	Overload indicator, adjustable input gain, replay of signal in memory through heterodyne system. 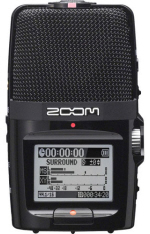 The Zoom H2n is an improved portable digital audio recorder, ideal for using with bat detectors and other wildlife sound recording equipment. 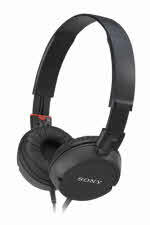 It has a choice of recording formats including .MP3 and .WAV. 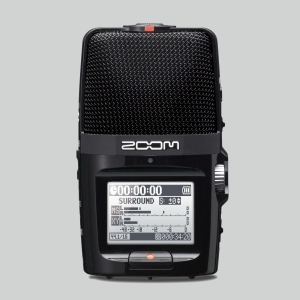 Recordings are stored to SD memory cards and the Zoom H2n is also compatible with up to 32GB high capacity SDHC cards, allowing over 50 hours of recording in WAV format (16-bit/44.1kHz) or 555 hours in 128kbps MP3 format. 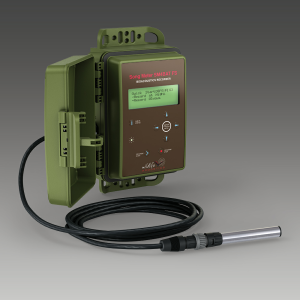 An automatic recording function allows the unit to be triggered whenever sound is detected and stopped when sounds cease. The timestamp function is handy for editing and analysing recordings. The H2n has not one but five built-in microphones so you can make excellent quality stereo recordings with the recorder alone. Ideal for making comments or references whilst making field recordings. 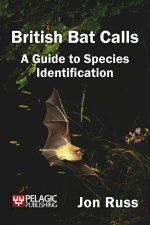 This book, together with the accompanying CD, provides an essential reference for bat enthusiasts who would like to gain or improve their skills in identifying British bats, using a bat detector. The material is suitable for those who have just acquired a bat detector as well as for more experienced bat workers. The sounds of 13 bat species are included in the 48 tracks of the CD. 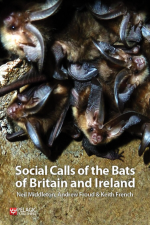 This is the first ever comprehensive compilation of British bat recordings on compact disc. 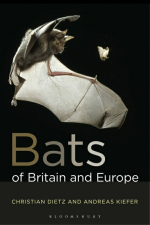 This is followed by in-depth species accounts covering life history, conservation status and identification, including echolocation characteristics, and complemented by accurate distribution maps, with the book illustrated throughout with superb colour photography. Visit our torches pages so you can see where you're going while bat detecting! !